Joshua Guy, our youngest watercolor member artist, stands by his painting, “Terrace Views”, at our recent First Friday reception, on 3/1/19. 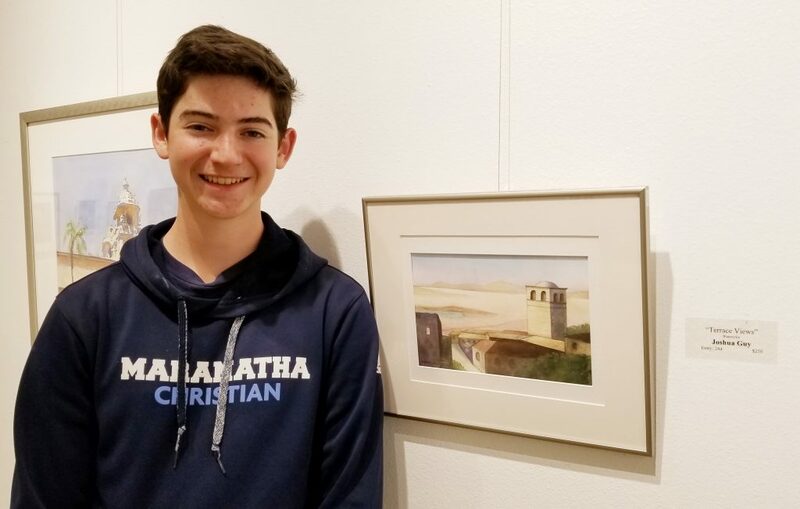 Josh, age 16, has already had four accepted paintings in member shows, since becoming a new member in 2018. Well done. Congratulations, Josh! This entry was posted on Wednesday, March 6th, 2019 at 8:21 pm	and is filed under First Friday, Member News. You can follow any responses to this entry through the RSS 2.0 feed. You can leave a response, or trackback from your own site.